Allan Konopka has been named associate director of the Microbiology Group within Pacific Northwest National Laboratory's Biological Sciences Division. He will join PNNL July 1 as a Laboratory Fellow, the Lab's highest science and technology rank. Dr. Konopka is a well-respected and internationally known microbial ecologist and environmental microbiologist. His research is focused on aquatic and soil microorganisms and their ecology, investigations of microbiological influences on contaminant fate and transport, and physiology and ecology of cyanobacteria. He leads a project funded by the U.S. Department of Energy's Environmental Remediation Sciences Division on ecological interactions between metals and microbes impacting bioremediation. 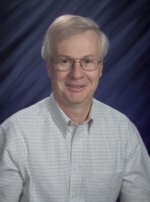 Dr. Konopka has been a full professor at Purdue University in the Department of Biological Sciences since 1992. At PNNL, he will lead efforts on the ecology of microorganisms related to environmental remediation, bioenergy and carbon sequestration. Dr. Konopka has authored or co-authored 97 peer-reviewed journal publications and reviews in high-impact journals for microbiology and microbial ecology such as Applied and Environmental Microbiology, Microbial Ecology, Journal of Bacteriology and Environmental Science & Technology. He wrote two recent synthesis articles on systems biology and microbial ecology that have appeared in ASM News and Microbe and has served on editorial boards for Applied and Environmental Microbiology and Microbial Ecology. Dr. Konopka is a Fellow of the American Academy of Microbiology and has been a Fulbright Scholar, Fogarty International Senior Fellow and Erskine Fellow.